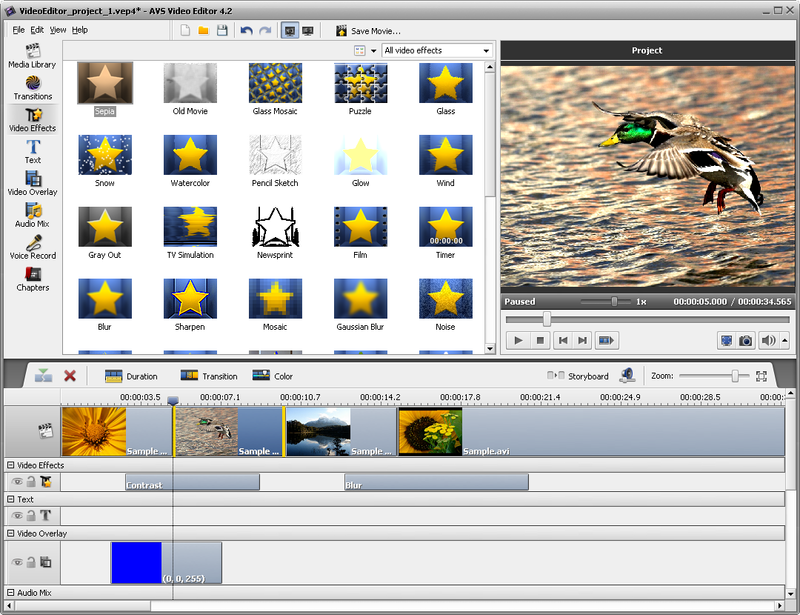 AVS Video Editor is an easy-to-use tool designed for beginners in video editing. AVS Video Editor tool come as an all-in-one editor for handy video editing and professional-looking video producing, specifically made for pc inexperienced users. AVS Video Editor is packed with up-to-date feature-rich movie processing instruments and has above one would expect for this price. AVS Video Editor supports all video and audio file formats. AVS Video Editor is an exclusive video editing software in its range which lets you to export movies to DVD or every format: AVI (DivX, XviD, and so forth. ), MP4 (inc. Sony PSP and Apple iPod), WMV, 3GP, 3G2, QuickTime (MOV), SWF, DVD, VOB, VRO, MPEG 1,2,4, MPG, DAT, VCD, SVCD, MJPEG, Real Video (RM, RMVB), DVR-MS and burn it to DVD or VCD/SVCD with the integrated burning program. DVD authoring plus individual DVD menu styles are allowed. Qweas is providing links to AVS Video Editor 5.1.1.128 as a courtesy, and makes no representations regarding AVS Video Editor or any other applications or any information related thereto. Any questions, complaints or claims regarding this application AVS Video Editor 5.1.1.128 must be directed to the appropriate software vendor. You may click the publisher link of AVS Video Editor on the top of this page to get more details about the vendor.